Hola amigos! I am now officially officially back from our 5 year anniversary vacation to Mexico boohiss. Hubby haven't really gone on a "just us" vacation since our honeymoon unless you count trips back to Florida to visit family which I dont because we all know sometimes that can be very unvacationy indeed. My sweet and now obviously totally trustworthy friend Sarah from RacingTowardsJoy suggested another resort group, Excellence Resorts. They are cheaper than Sandals and were a true all inclusive resort. Oh, did we have the most amazing time ever. So, if you follow me on twitter you may have seen me tweet out that I lost my phone in the airport. You guys, we had people everywhere looking- from check in to security to the gate agents. All my information for everything plus irreplaceable pics & vids of Reese were on that phone and Hubby was upset and it was too early for AT&T to be open to help us and my plane was boarding and I am seriously seriously not a crier, but I was SOBBING. Embarrassing really. Especially when I found out that I had actually left my phone on silent under a seat in my car and all that carrying on was for nothing. Either way, I have very few pictures from our vacation, which makes me a very bad blogger but a very good wife. But let me try to do the Excellence Playa Mujeres Review with what pics I do have because y'all they blew.us.away. This resort was seriously amazing. I have never been somewhere that was as clean, as well manicured, and as large as it looked in photographs. The staff helped us set up a transfer from the Cancun Airport and our driver was waiting right where he said he'd be with wet washcloths and water bottles waiting for us. The trip to the resort was quick and easy. To get to the resort itself you had to go through 3 guarded gates (super safe!) and were met at the door by a bell hop and yes I already felt like a spoiled brat. We were taken to our room that had a little "Anniversary" banner on the door. It was very spacious, with a huge bed covered in rose petals, an L shaped couch, TV, ipod dock, HUGE shower, completely stocked bar and mini fridge, jacuzzi bathtub that opened both inside and outside as well as a huge porch. It was GORGEOUS. Our days were spent either eating room service breakfast on our porch or eating at the huge breakfast buffet restaurant. Then we would go out to either the main pool or the beach. There were chairs every time we went out and often were chairs under the little tiki huts. There was a swim up bar in the pool as well as waiters in both the pool and beach areas. You could have unlimited alcoholic and non-alcoholic drinks (I tended to start with a nonalcoholic miami vice and work my way up) as well as any food you wished. They even had handmade pizzas made to order out by the pool. YUM! All the restaurants were seriously amazing. My most favorite was the lobster house and I am still dreaming of the Caribbean bleu cheese lobster. I am not kidding you when I say that seriously every member of the staff was kind to us the entire time we were there. Even people just passing us in the resort smiled and said hello. It really kept the mood of the entire resort up. They also cared about little things, like when our anniversary was, and made it very special. On our actual anniversary we went out to eat at the French restaurant which was super romantic. They had a special table picked out with roses petals spread out on it. When we went back to our room after the nightly entertainment they had drawn us a bath full of bubbles and again rose petals during the turn down service. It was such a nice little touch! The first day we were there we met a couple at the pool, Tara and Patrick (bottom right- gorgeous girl in pink) from Missouri who had come to EPM on their honeymoon and were back for their 1 year wedding anniversary. Patrick served as an MP so you know he and Hubby got to talking. He was so hilarious, I cant even tell you. His wife owns and runs her own salon and was so sweet and fun. That night after dinner, Hubby and I sat next to an adorable british couple on their honeymoon, Glynn and Melody(top left- lovely lady in the stripes) . They are major travelers and love to "holiday" so we naturally got to talking. And wouldn't you know it, Glynn is a correctional officer in Britain and his wife is a wedding planner (That lucky girl). Their American accent was as horrible as my English accent and we laughed and laughed with them. If you know Hubby at all then you know that he arranged for all of us to hang out for basically the rest of the trip. We spent a fun night out with a fire show, tequila, dinner of tapas, tequila, an amazing singer, laughs, tequila, cigars and late night swimming did I mention the tequila? All in innocent fun, friends. I cannot even tell you how sad we were to leave. I would recommend The Excellence Play Mujeres to anyone, any time, for any reason. Hubby and I will absolutely go back, even if it does take us another 5 years. Sounds like you had an amazing time! Happy Anniversary to you! That sounds so fun! What a blessing to be able to get away with your man. And maybe a blessing that you forgot your phone! :) Happy anniversary! suuuper jealous but I am glad you guys had a great time! That resort sounds divine!! I also like the sounds of the security that place has...I'd definitely would feel safe! As for not providing discounts for police personnel, maybe they don't offer it because of gratuity issues? I've offered to pick up the tab once or twice at an old restaurant I worked at but they told me they couldn't accept because of gratuity issues. I am so glad you had an awsome anniversary. We went to the excellence in punta cana and loved it. Sounds like an awesome trip! I love meeting people on vacation and then staying in touch with them, it's such a fun way to met people. All inclusive is definitely the way to go in Mexico. That is the exact same place we went to on our honeymoon 4 years ago. It was the best trip of my life! hoping and praying that we will be able to go back one day. Seeing all your pics is crazy...because we have alot of the same pictures! Sounds like a little piece of heaven!! So happy for you two! Looked like a fab vacay and boy do you seem like a fun person to meet at a resort! We just celebrated our 5 this weekend! Your trip looked so amazing!!! I think this is the place my fiance and I are looking at for our honeymoon!! The grounds look absolutely beautiful, and everything that I imagine perfect for a honeymoon!! Anyway, it looked like you guys had a blast! OMG that looks unfreakingbelievable! I've been trying to convince my husband that we should go to Mexico and now I REALLY feel like we need to go! Also, WTF, Sandals about that discount thing. That's infuriating and so rude!!!! It's seriously gorgeous and I'm so happy y'all had a great trip! This... sounds... AMAZING. And I'm so glad you found your phone! I felt terrible for you when I saw the tweet from the airport! Wow that sounds fab! I'm so glad that you had a great trip and glad that your phone was only "misplaced". I need to check this place out for when the hubby comes home! Wow, looks like yall had an amazing time! I forgot you told me about Sandals and the police discount (or lack thereof). I'm glad you guys found a place that was even better. Those little things the resort staff does means a lot! I will have to check into this when we go to plan our next getaway! EPM is the resort my hubby and I went to for our honeymoon and we loved it as well - definitely recommend! 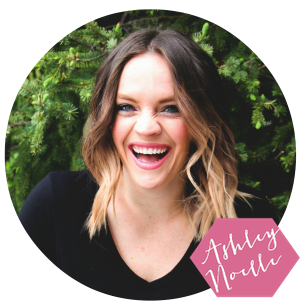 I found your blog by goolging EPM reviews & am glad I did :) We're getting ready to book for my 30th bday. Do you remember which room you went with? Hey, I love your blog! 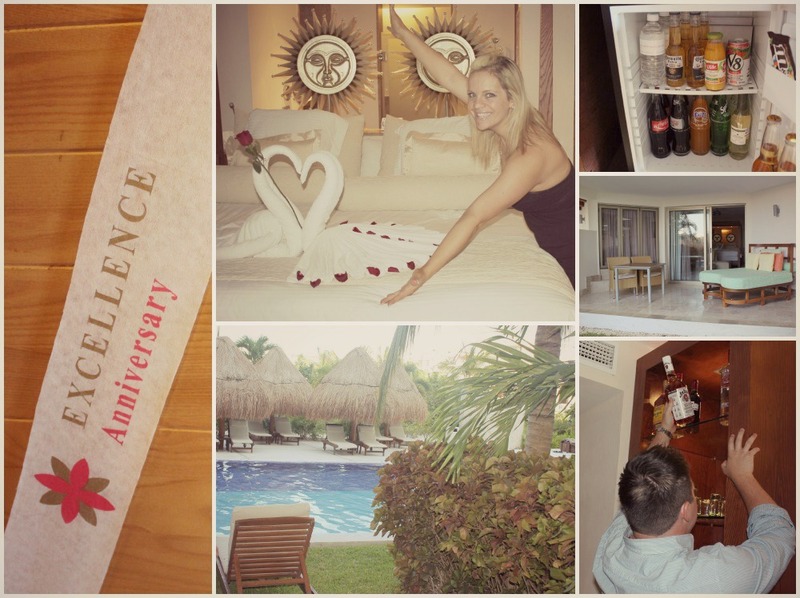 I've just visited Excellence Playa Mujeres too, I had a lovely time and it looks like you guys did too! The food and cocktails were AMAZING. I really want to return.